A few weeks ago I was at Kahului Airport to pick up friends from their mainland trip. If you’ve had to park at the airport in the past year and a half, you will know it’s been a bit of a gong show. Parking has been cut up to 50% percent during the construction of the new car rental facility. Parking has always been a bit tight, but it’s been extreme with people creatively parking where they shouldn’t, making the parking lot even tighter than it should be. The past few weeks it has eased up, as the airport has re-opened former parking spots. Thank goodness! 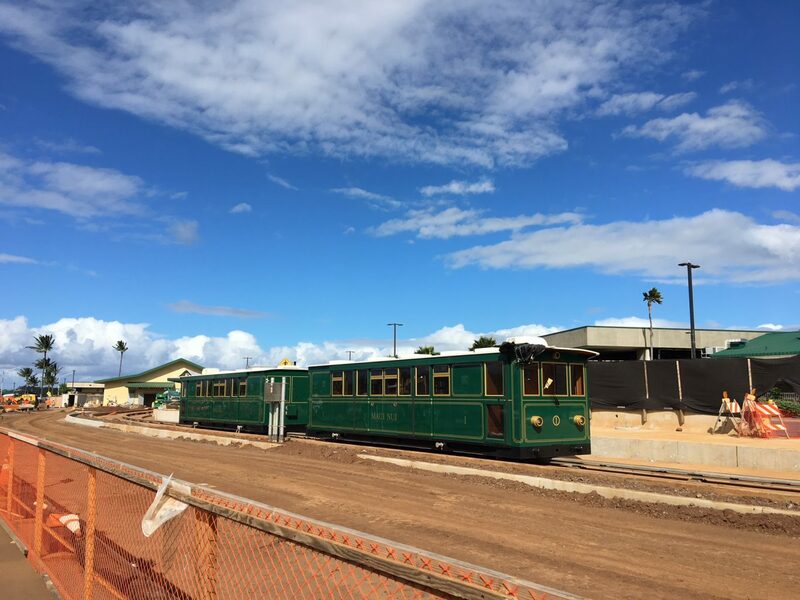 The car rental facilities at Kahului Airport have always been off-site, with arriving would-be-renters having to catch car rental company specific shuttle buses to get to their rental counters/car pick up locations. In April 2017 construction began on a new joint car rental facility along the airport road just before you get to the terminal. There will be a solar-powered monorail line with carts that continuously run to and from the terminal, shuttling passengers back and forth. Cool, right? We can’t wait for it to be completed! Two weeks ago when I was at the airport I got a good shot of one of the new monorail cars which is already parked on the monorail line. Very cool. Unfortunately I have not been able to take a picture (yet) of the new car rental facility – there is just no place to pull over safely and take a picture. But it is looking really good. From what I can find online, this project isn’t set to complete until next May, so you’ll have to wait to actually check it all out. But I for one am glad that there is an end in sight for this Kahului Airport construction project. 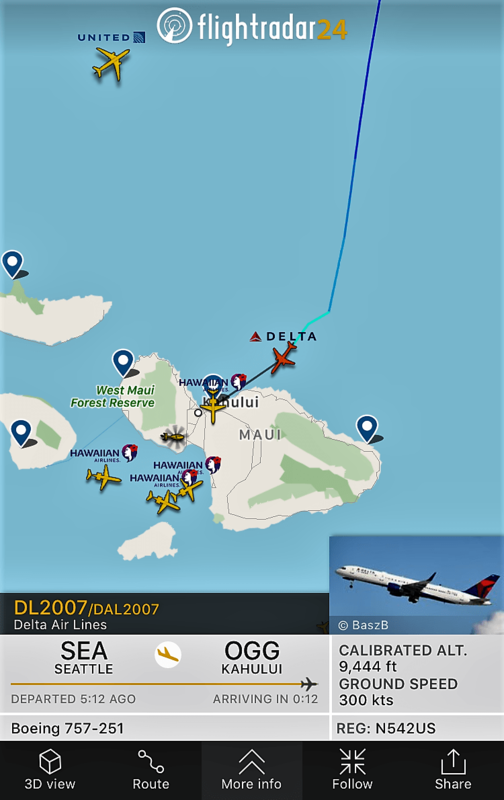 By the way, if you are meeting someone at the airport and wondering where their flight is at, or wondering where that plane overhead is going, there are neat flight tracker apps available. I like Flightradar24 on my iPhone (I have the free version with ads). You can search by flight route, or look at certain spots on the global map. It is really cool. Check it out – what flights are tracking to your location right now? this was our friends’ arriving flight – showing their flight route. Click on any of the airplanes or even helicopters for more information about them.